Oh, gosh. I've been looking forward to giving this gift to you for about a month! Merry Christmas, readers! I have been so honored and inspired by your comments and dedication to Pars Caeli, and I wanted to get you something extra special. And so, since I can't affored to send each and every one of you lovelies a goodie bag of cheer, I've called upon twelve of my good blogger pals to sit with you here on Pars Caeli! Over the 12 days of Christmas, the next 12 days - posting all seven days a week - I am bringing to you twelve fabulous women who fill up the internet with ideas, projects, style, and most of all warmth. Collectively they draw hundreds of thousands of readers to learn more about cooking, interior design, child development, party styling, motherhood, womanhood, and joy. We'll be sharing inspirations, favorite posts, and big old hopes for 2014. I know you'll enjoy these charmers, and I hope you know much I appreciate your presence here on these pages! 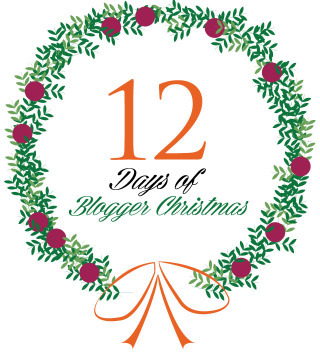 Follow along with #12BloggersChristmas on Instagram and Twitter to catch all of the loveliness! Merry Christmas, friends. May the Christmas season be one of true hope and joy for you and yours.